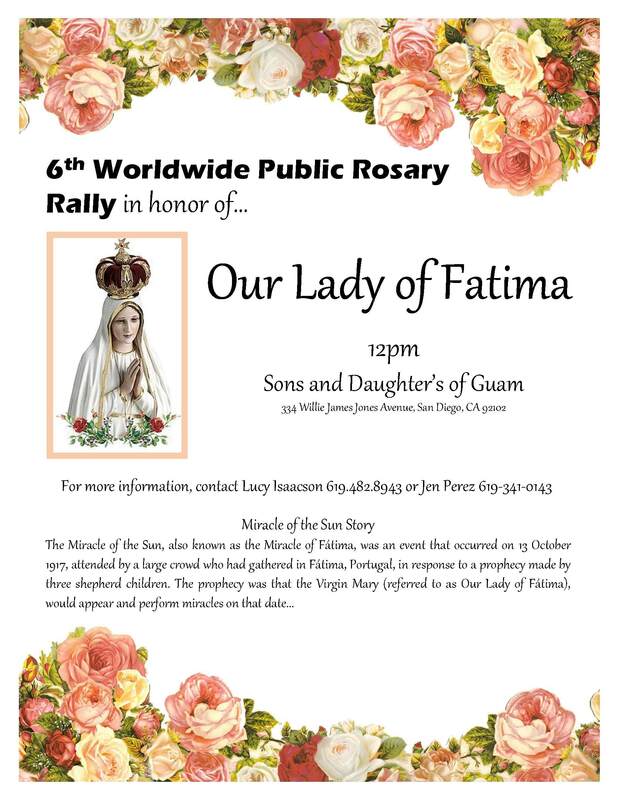 Sons & Daughters of Guam Club, Inc. – Page 5 – A Home Away from Home. 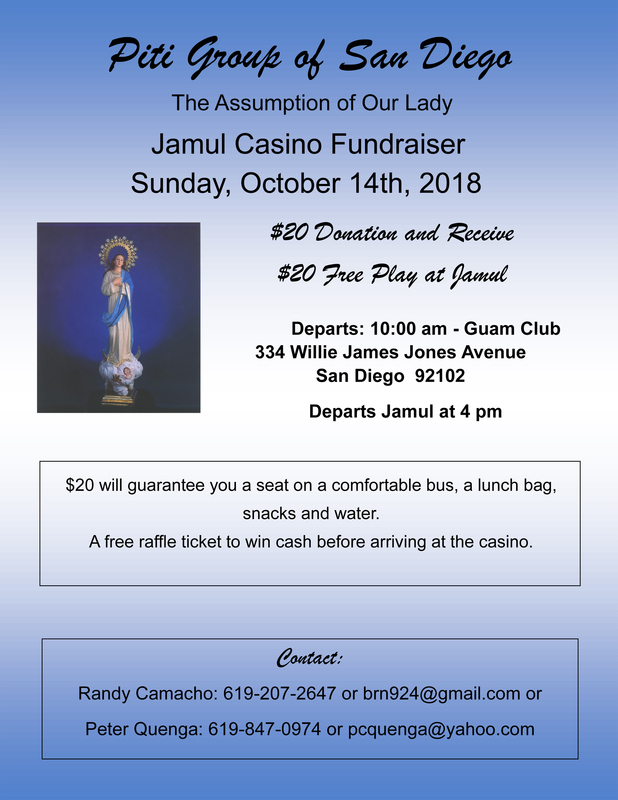 This Saturday 10/13/18 @ Noon at the Guam Club. 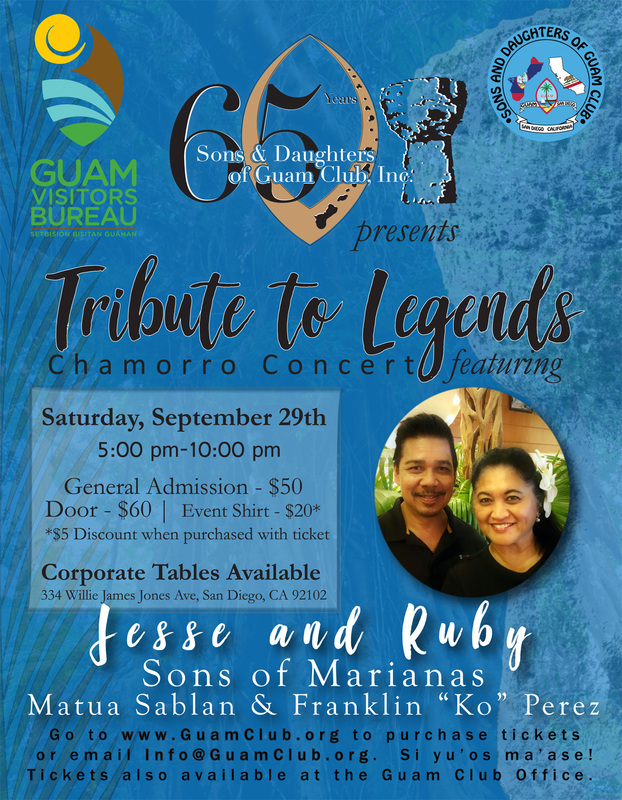 Events in October at the Guam Club. Click on image to view. 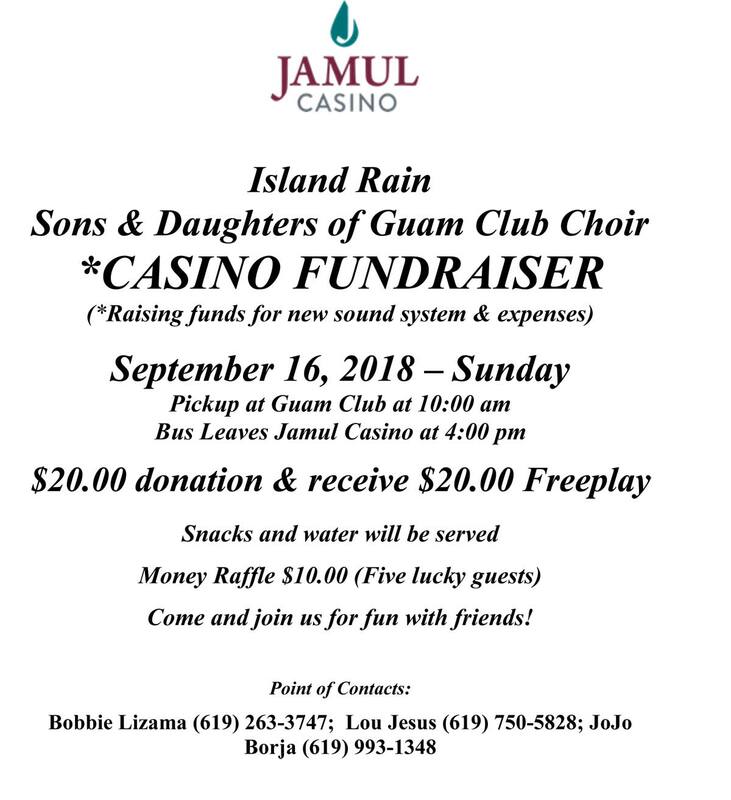 Sons & Daughters of Guam Club Choir aka Island Rain is holding a casino fundraiser this Sunday. See image for more details. 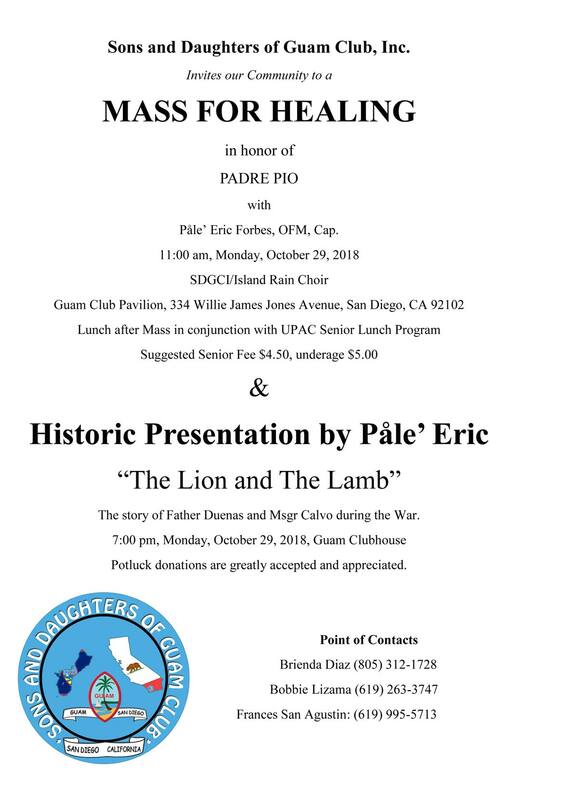 We hope you can make it. Click on image for more details. Si yu’os ma’ase! 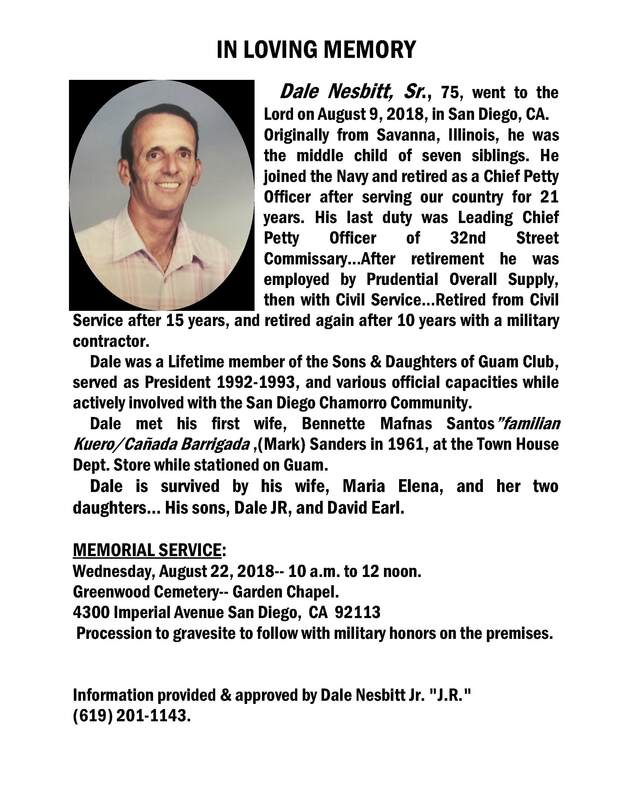 In Loving Memory of Dale Nesbitt Sr.